A line forms outside of Chicken &amp; Rice Guys at the Science Center Plaza last Spring. The truck has been absent from the plaza this semester. 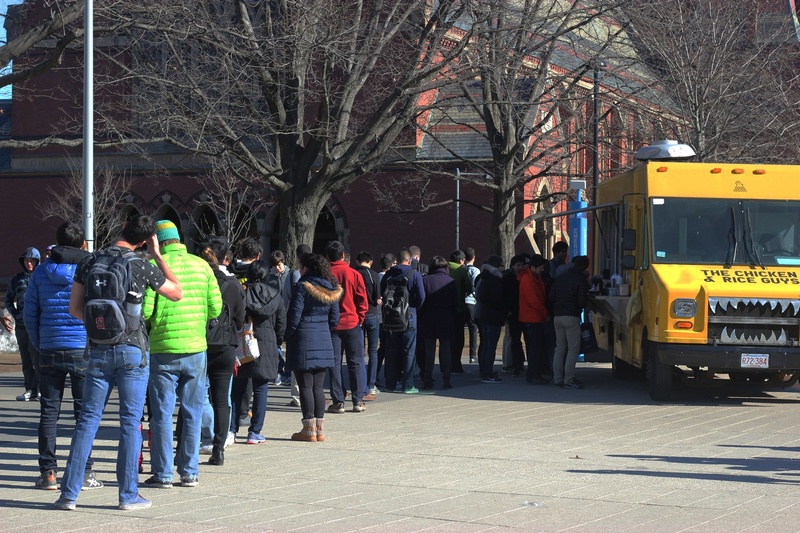 Students seeking an alternative to Annenberg can regularly find food trucks peddling cod, pizza, falafel, and tacos in the Science Center Plaza. Notably absent, however, is a favorite vendor from previous semesters: Chicken and Rice Guys. Chicken and Rice Guys’ food trucks have been off the road since April, according to the popular halal restaurant’s CEO and co-founder Ian So. In that time frame, the company missed the opportunity to apply for Harvard Common Spaces food truck program at the Science Center Plaza. After an E. coli outbreak linked to Chicken and Rice Guys temporarily shuttered the Boston-based restaurant’s shops and food trucks this spring, the restaurant has been working to get back on its feet. Harvard Campus Services spokesperson Michael D. Conner wrote in an email that because the trucks were not operational during the application window for this semester, they were removed from consideration. So said that trucks have started servicing other locations again for the first time in the past few weeks, and that they look forward to returning to Harvard in the future. 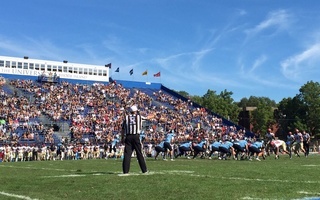 “We were off the road longer than we had expected, and Harvard had expected, but we’re back now and we would like to vend at Harvard and I think there are some windows to come back and vend,” he said. Some students are eagerly awaiting the return of their favorite campus food option, which used to visit the plaza three times per week. Peter M. Bearse ’19, who said he frequented Chicken and Rice Guys at least once—and sometimes multiple times—per week, said he was eager for the truck to return. Arin L. Stowman ’19 said she was similarly dismayed to find Chicken and Rice Guys absent from the food truck selection. 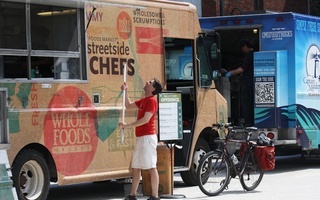 She said she used to eat at the truck for lunch each Friday, and has been trying to find a way to go to their Boston location in the truck’s absence. Bearse said he has been going to Chicken & Rice Guys’ Allston storefront every few weekends to get his favorite grub, but that it is no match for having the convenience of his favorite truck right at school. Stowman said she was excited for the truck to hopefully return in the spring, and that she was not worried about E. coli.